University of Southampton engineers believe that monitoring blood flow to the brains of head injury patients could potentially reduce the incidence of brain damage and long-term disability, and are developing methods of using ultrasound to do this. With many years experience in studying the rise and fall of pressure inside the heads of patients with severe head injuries, Professor Robert Allen and his team in the Signal Processing and Control Group at the University of Southampton's Institute of Sound and Vibration Research realised that in order to prevent brain damage what was needed was a method of anticipating changes in blood flow and particularly lack of flow. Professor Allen and his team are using ultrasound to measure blood flow in the brain and to correlate the signal with the arterial blood pressure. This combination would then alert them if there were to be a change in blood flow. Ultrasound has been of interest to researchers studying ways of measuring blood flow since the Norwegian engineer, Rune Aaslid, published a paper on its potential back in 1982. "Swelling in the head can reduce blood flow," comments Professor Allen. "This system will alert us when that happens." Professor Allen and his team are working with colleagues at Southampton General Hospital to develop this research further and are currently testing their theories on groups of normal, healthy, volunteers. "We believe this research could make a big difference to the lives of head injury patients," comments Professor Allen. "The signals provided will enable clinicians to ensure that the blood is flowing efficiently. This is crucial because, although many people survive head injuries, much of the damage occurs after the accident when the brain swells. Our technique will allow the medical profession to monitor the blood flow and to hopefully avoid any further damage to the patient." 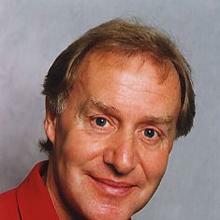 Robert Allen is an Emeritus Professor in Biodynamics and Control at the Institute of Sound and Vibration Research (ISVR), University of Southampton, UK. The Institute for Sound and Vibration Research (ISVR) is an internationally renowned centre of excellence in teaching, research and consulting. In the 2001 Research Assessment Exercise, it received the top 5* rating. The University is currently raising funds for a £5.7 million new building for the Institute of Sound and Vibration Research. The new building will house an updated, state-of-the-art Biomedical Imaging Research Department, which will make it the one of the leading Biomedical Imaging centres in the country. The interface between technology and humans has been at the centre of ISVR's activities, with active research and teaching programmes in audiology (including a highly respected MSc course), human vibration interactions, medical imaging, patient monitoring and physiological modelling. Clinics at ISVR (including the South of England Cochlear Implant Centre) and collaborations with hospitals are at the core of these projects. ISVR also runs undergraduate courses in various aspects of sound and vibration: an MEng/BEng degree in Acoustical Engineering, a BSc in Acoustics and Music, and from September, a BSc programme in Audiology.